Services Offered: Medical Dermatology, Cosmetic Dermatology, Skin Cancer Treatment Dr. Samantha A. Toerge is a board-certified dermatologist who specializes in general medical and cosmetic dermatology. Dr. Toerge is a fellow of the American Academy of Dermatology and American Society for Dermatologic Surgery. 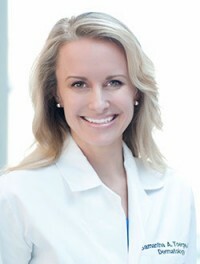 Dr. Toerge is a Washington, DC metro area native. She graduated from Winston Churchill High School in Maryland. Dr Toerge is very compassionate and a very knowledgeable Dermatologist. You will not a find a more caring and compassionate physician. Dr. Toerge is an outstanding dermatologist who is well-respected within the community and by her peers. As a colleague of Dr. Toerge\’s for the past 10 years, I have continually been impressed with her dedication to maintaining the highest academic standards for her patient care while sustaining a superb bedside manner. She excels in treatment of medical issues and also has a keen aesthetic eye, garnering her a large cosmetic patient following. She is empathetic, trustworthy, and an exemplary dermatologist who comes with my highest recommendation. 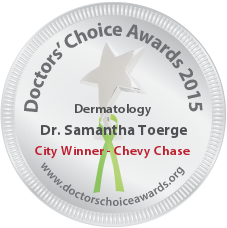 Dr. Samantha Toerge is an excellent dermatology and a kindhearted individual. She is equally adept at handling complex medical dermatology as well as aesthetic/cosmetic consultations. She is extremely easy to talk to and goes above and beyond for her patients. I recommend her very highly and would send my own family members and friends to see her. Dr. Samantha Toerge is a fabulous dermatologist. 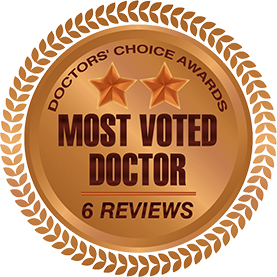 She excels in all facets of our specialty but has obtained numerous accolades for her accomplishments in laser procedures. I feel privileged to have her as a colleague and recommend her highly. I have known Dr. Toerge for years. She is excellent and is one of a handful of dermatologists from across the country who is also fellowship trained in melanoma and skin cancer. In addition to her encyclopedic fund of knowledge, she is a compassionate physician. It’s wonderful to have Dr. Toerge in the area as a colleague and as a truly resourceful physician for the community. Her clinical areas of expertise cover the entire gamete of dermatology from cosmetics, thru melanoma and moles. Dr Toerge is a compassionate, well trained and knowledgeable dermatologist. I have known her for about 6 years. She is a true professional with great bedside skills. Her patients that I see for Mohs surgery all rave about her. I would recommend her highly. She is an asset to the DC metro area. I’ve had the pleasure of knowing Dr. Toerge personally and professionally for nearly 10 years. She is an elite academic and has been brilliant and hard working in every phase of her schooling and training. Dr. Toerge is personable, reliable, and compassionate and displays genuine respect for her patients as well as her entire staff. Additionally, she is a masterful cosmetic dermatologist, possessing an artistic eye and skillful hand. In short, she is an amazing doctor and an inspiration to her peers.